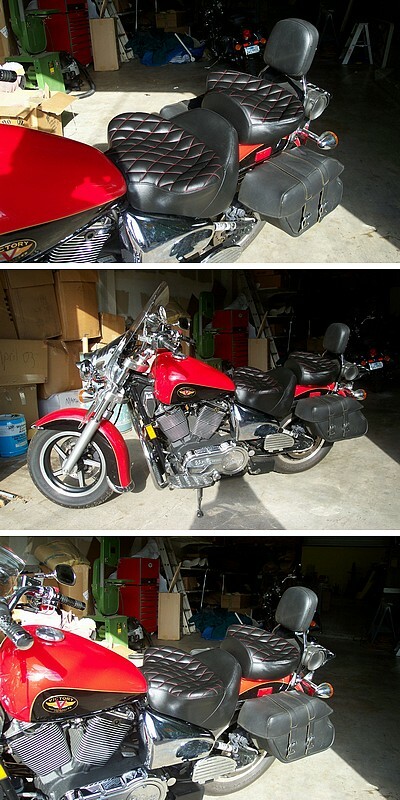 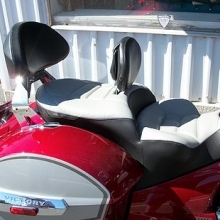 The American made Victory motorcycle comes highly recommended on surveys, being built to compete with the Harley-Davidson and other American brands. 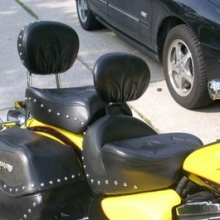 They are fairly new on the scene, starting production in 1998. 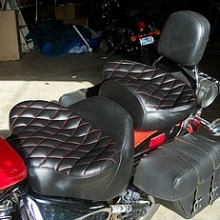 But even their Hammer, 8-Ball, Touring and other bikes can get uncomfortable after some hours of riding. 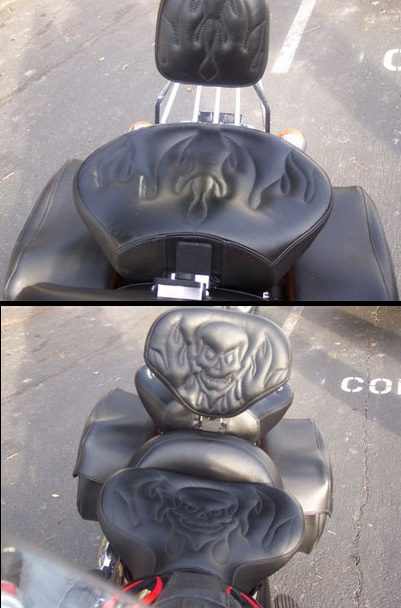 One of the most exciting things a bike owner can have, is a custom made bike seat that not only looks fantastic, but feels fantastic! 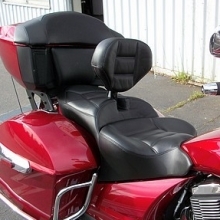 Russell cycle products is making a name for themselves with their patented ‘Day-Long’ suspension seats that displace the riders’ weight to give them less pounds per square inch, thereby taking the load off the body. 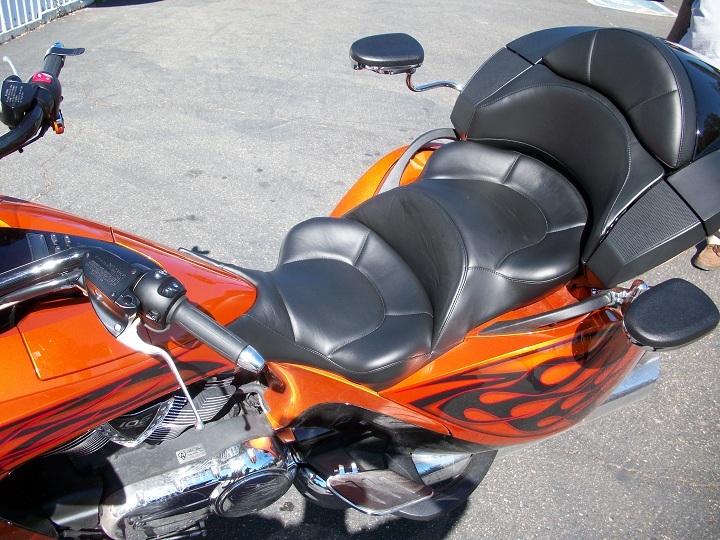 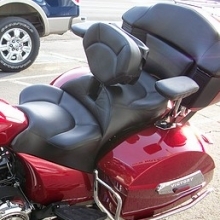 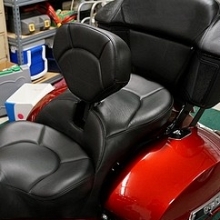 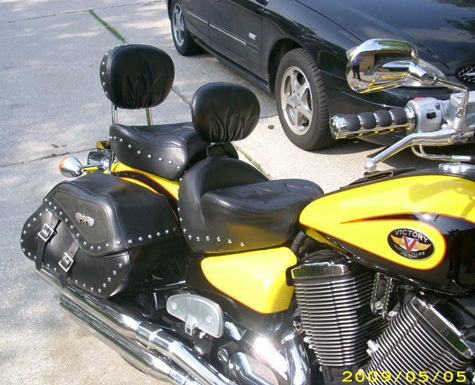 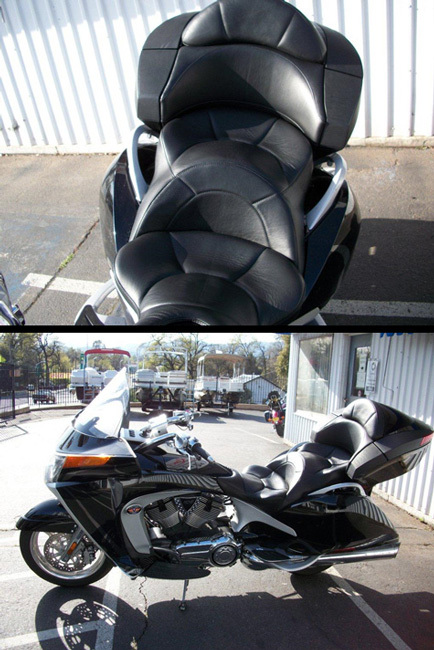 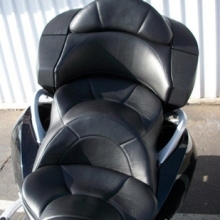 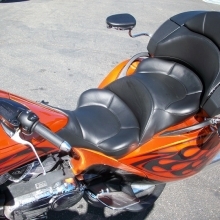 Their custom made motorcycle seats give bike riders the comfort to take long rides and truly enjoy their motorcycle. 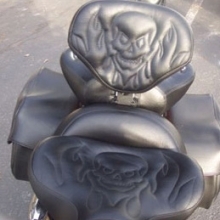 It’s easy to get your custom made seat built! 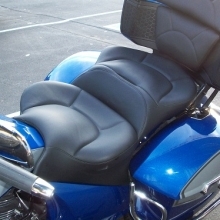 Follow the steps in ordering on-line, call us and mail your seat pan directly to us. 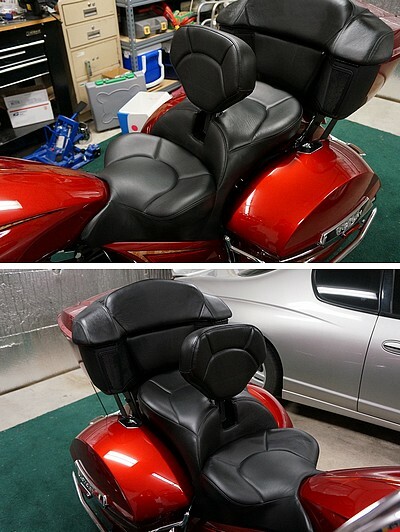 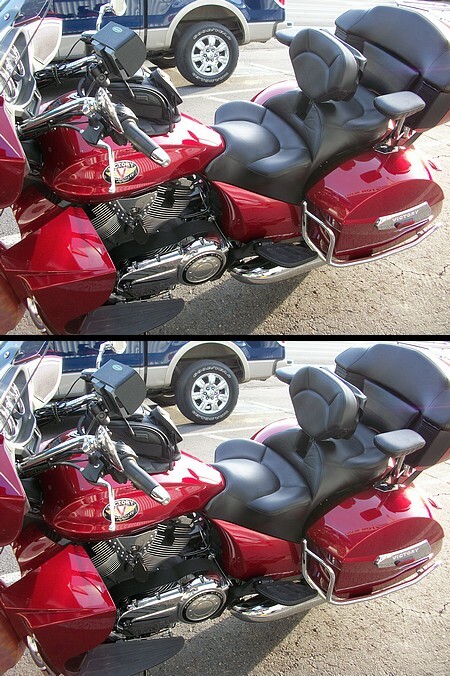 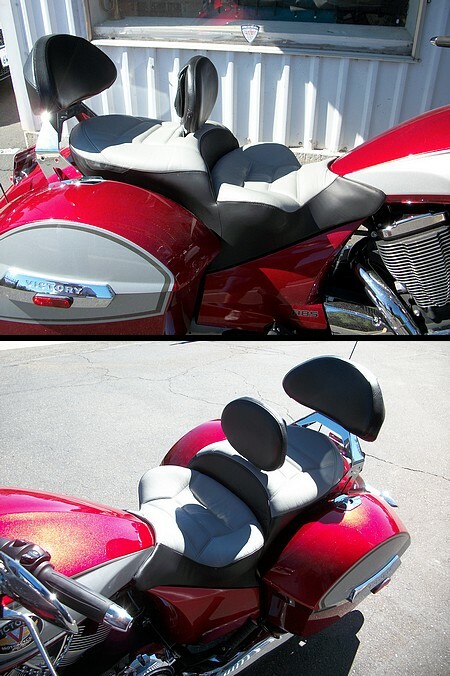 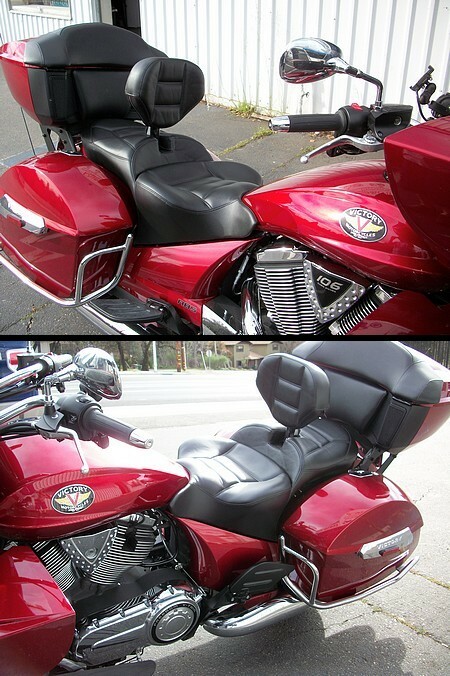 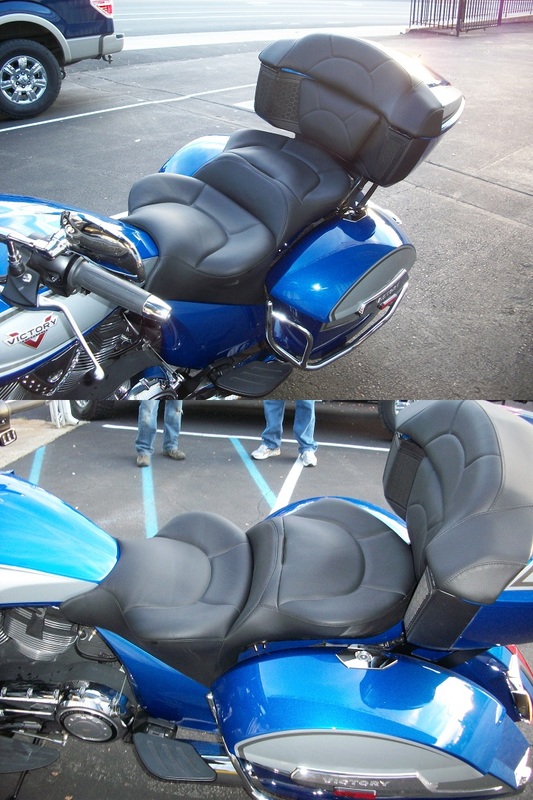 In our gallery below is a sampling of some of the Victory bike seats we’ve built.